Manfred Sandmann was a Lecturer of French at the University of Glasgow from 1938 until 1946 and graduated DLitt in 1949. Born in 1906, in Susz, northern Poland, Sandmann attended Universities in Poland (Gdańsk) and Germany (Jena and Bonn). He received his DPhil from Bonn in 1928 under Professor Wilhelm Meyer-Lübke, and taught in Danzig (1929-1932), and Centro de Estudios Históricos (Center for Historical Studies) in Madrid in the service of Ramón Menéndez Pidal, the founder of the Center. In 1936, Sandmann came to the UK where he was appointed Lecturer Bedford College, before being appointed assistant lecturer at the French Department of the University of Glasgow by Professor Alan Boase in September 1938. He was later appointed Lecturer in 1944, and became a close friend of Professor Boase. 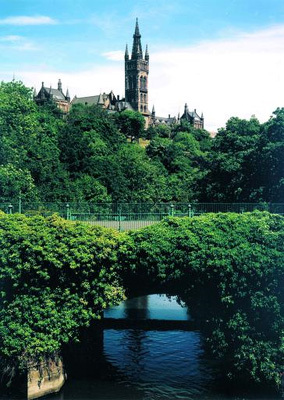 Sandmann obtained an MA from the University of Edinburgh in 1947, and went on to graduate DLitt from the University of Glasgow on 5 November 1949 for his thesis Subject and predicate. Sandmann accepted posts at the universities of Edinburgh (Lecturer of Romance Philology, 1946), West Indies, Jamaica, (Professor of Modern Languages, 1950), and finally Berkeley (Professor of French and Romance Philology, 1960), where he became an Emeritus Professor in 1973. Throughout his career, Sandmann's main focus of research was on the subject area of syntax, on which he published numerous books in various languages, such as Subject and Predicate. A Contribution to the Theory of Syntax. Sandmann died in 1980, at the age of 74, in Berkeley, California. In 1983, students and friends of his dedicated to him the commemorative publication Le Gai Savoir: Essays in Linguistics, Philology, and Criticism.